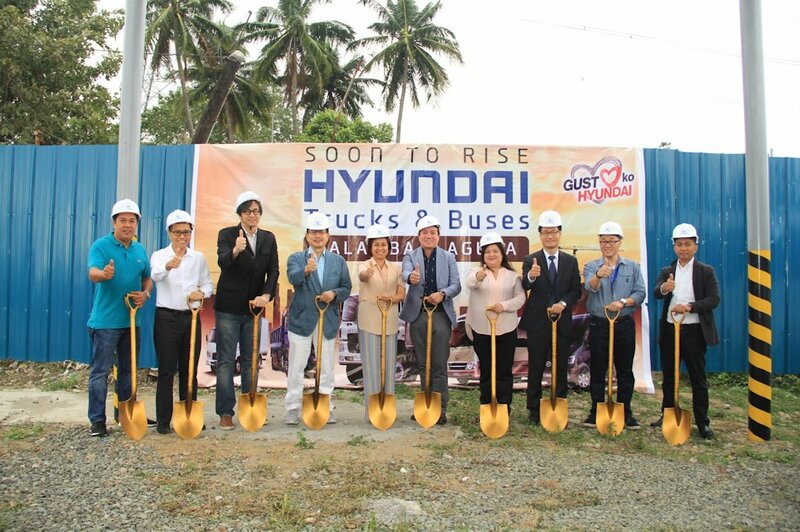 Hyundai Asia Resources Inc. (HARI), the Philippines’ official distributor of Hyundai vehicles, in partnership with the Areza Group, recently held a groundbreaking ceremony for the new Hyundai Trucks & Buses dealership. Hyundai Trucks & Buses Calamba is expected to be open for business by June 2017. The addition of commercial vehicles to HARI’s product line-up completes HARI’s offering to the market, as well as making them the leading provider of world-class and cost-effective customer mobility and payload solutions. HARI’s partnership with the Areza Group continues to stand the test of time. In 2001, HARI was appointed as the official distributor of passenger cars in the Philippines by Hyundai Motor Company (HMC) of South Korea. Just a year after, the Areza Group became their first Hyundai dealership in South Luzon. Now, the Areza Group has become the pioneer dealers of Hyundai commercial vehicles in the country. Besides serving as the hearth of the Areza Group’s businesses, Calamba is known as the richest city in the CALABARZON region. The city has successfully become the stomping ground of large logistic companies, agri-based industries, electronic companies, BPO firms, food processing plants, and major real estate. Laguna being the home of of the Hyundai Logistic Center and the Hyundai Assembly Center adds icing on the cake. “Together, we are stepping up to be the lifetime partner of Filipino businessmen as we open new venues for driving the ascent of the Philippine economy. “Gusto ko, kaya ko, sama-sama tayo sa pag-asenso,” Perez-Agudo said in closing.